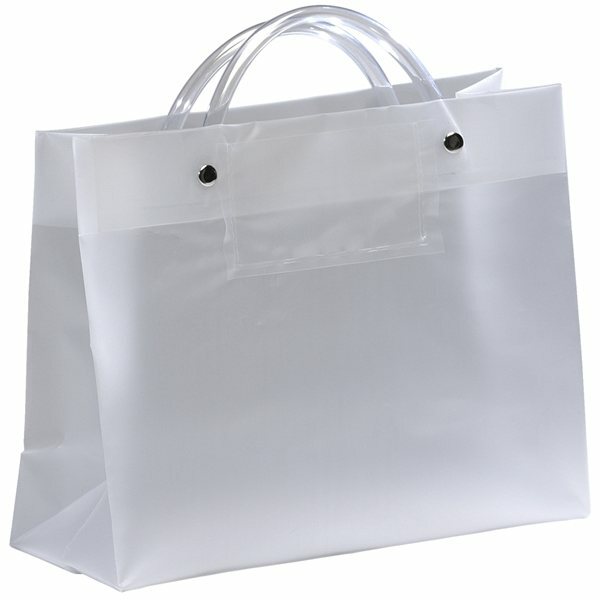 Hi-density plastic bags with a clear card pocket on one side, riveted clear plastic tube handles, reinforced fold-over top, and cardboard bottom insert. Customer very happy with the results. They began using them in their store just after receiving them last Friday. Hope to be able to sell more soon! It is larger than I had pictured in my mind. Quite nice. the price is the best around and the customer service is wonderful! Cheap and quick.